The brisk winds and cooler weather in California are finally signs that fall is here, and it's the ideal opportunity for me to ward off the chill by layering with denim and leather. Each autumn, I relish the chance to dig out my coats and wear heavier textures and layers. Leather and faux leather are two of my top layering options, and they pair well with other fabrics in my wardrobe such as wool, faux fur, and denim. In an effort to create a D.I.Y. mixed materials jacket inspired by the likes of Carven, Rag & Bone, and Alexander Wang, I tried something new by layering a leather vest over my favorite denim moto jacket for textural interest and warmth. (Unfortunately, I underestimated the chill of the wind, because if you look closely you might see my goose bumps.) A morning of rain made it feel more like fall, and although the clouds moved out quickly for these afternoon photos, high winds took their place. 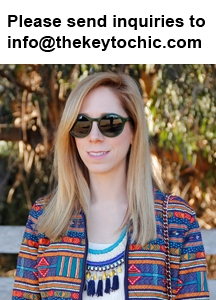 When putting this look together, I dug deep into my closet for several pieces that I purchased in 2009. 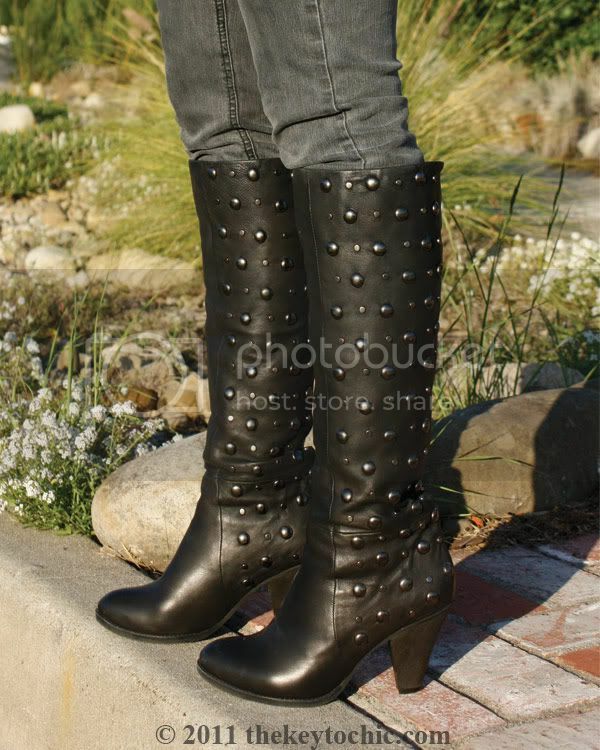 These studded leather boots were my first ever splurge at LF and my first pair of Jeffrey Campbell shoes. They can also be worn slouchy, but I prefer to keep them snugly fitted just below the knee. As much as I rotate shoes in and out of my closet, I can't imagine parting with these anytime soon. There's nothing quite like a pair of leather knee-high boots, as they provide both comfort and warmth, and can be worn with everything from floral mini dresses and leggings to skinny jeans and maxi dresses. *On an unrelated note, take a look at my guest post on WeWitItLA regarding helpful tips for buying and selling at resale shops.